When blowers were installed in your wastewater process, they were sized properly, given the amount of BODs in the influent at the time. But since then, things have changed. That dairy that used to send wastewater chock full of BOD has changed their process, or maybe they've shut down entirely. Now, you've got a whole lot less BOD and a lot more dissolved oxygen from blowers that are now oversized. One options is to order new blowers, properly sized for the new normal influent. It's an option that would work, but would be very expensive. Another choice could be to reduce the number of blowers used. This would certainly generate less dissolved oxygen in the tank. However, selling off all the blowers and leaving the facility with just one is risky. If the remaining blower goes down, it'll be a fire drill to quickly get another up and running. 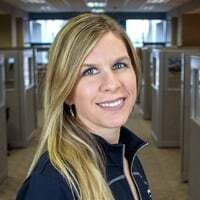 To save the most money and reduce the risk of fire drills, one of our Fluid Sales Engineers, Charlie Isham, recommends a solution comprised of dissolved oxygen sensors, a PLC control, and VFDs. See sketches below for a single tank system and a multi-tank system. 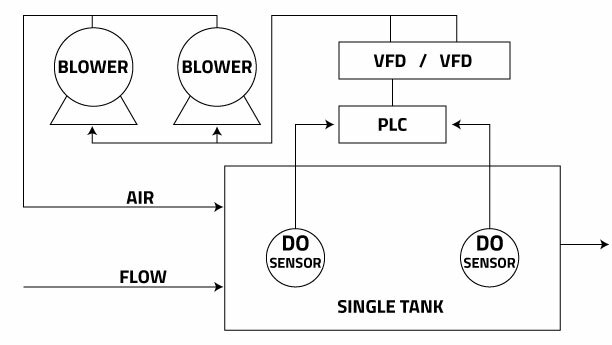 In a single tank system, as loading increases, the dissolved oxygen (DO) sensor at the forefront will send a signal to the PLC to increase or lower the speed of the blower, depending upon the reading compared to the set point on the PLC. The PLC then sends a signal to a VFD, which will in turn, slow or speed up the motor speed on the blower(s). In a multi-tank system, valves and a pressure transducer are added. There are DO sensors in each tank and the PLC has set points for each tank as well. 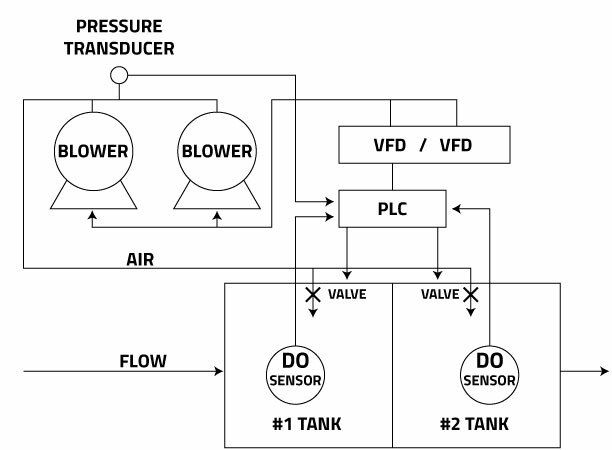 The PLC opens and closes the valves according to the dissolved oxygen needs of each tank. As the valves open, the pressure inside the air line is reduced. The pressure transducer's job is to ensure the pressure inside the air line remains constant. When pressure drops in the air lines, the pressure transducer sends a signal to the PLC. 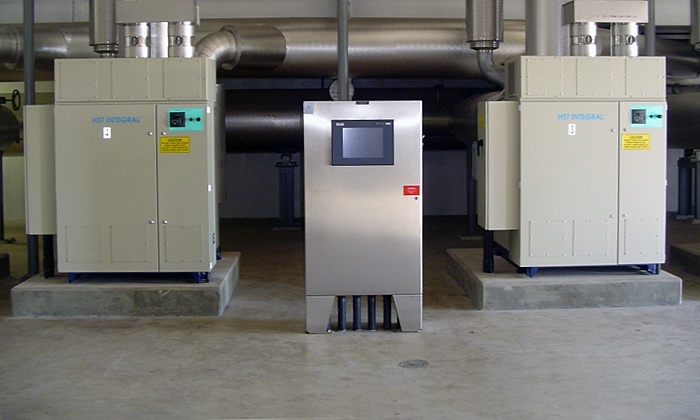 The PLC sends a signal to the VFD, telling it to speed up and maintain airflow. When the valves close, pressure inside the lines goes up. The pressure transducer tells the PLC that the pressure is high. The PLC sends a signal to the VFD to slow down the blower motor. The controls in these two systems are all different, independent of each other, yet they work together in a cascading system. One affects the other, but their control loops are independent. 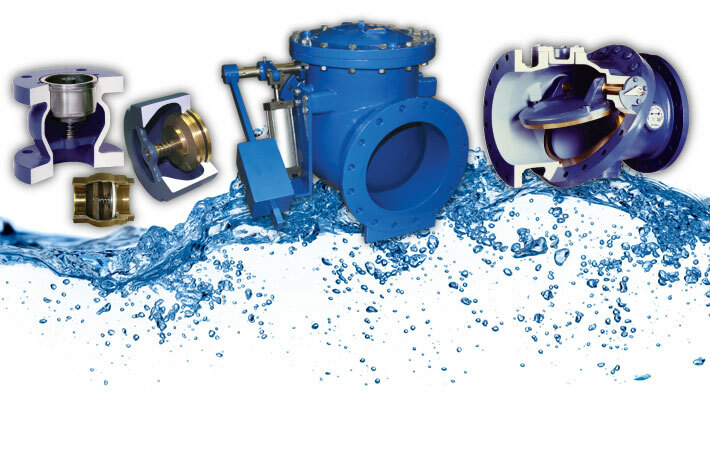 If the influent in your system has changed, and you now have blowers that are oversized, consider implementing a control system as we've described here. This economical choice will help keep better control of dissolved oxygen in the system and save money on energy costs. Too much dissolved oxygen in your system? Not enough? Ask us about it! 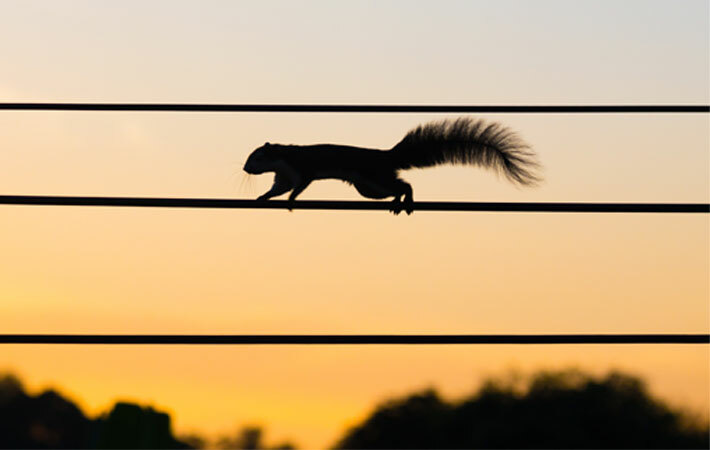 We gladly provide technical assistance to businesses and municipalities in Wisconsin, upper Michigan, Iowa, and Minnesota.